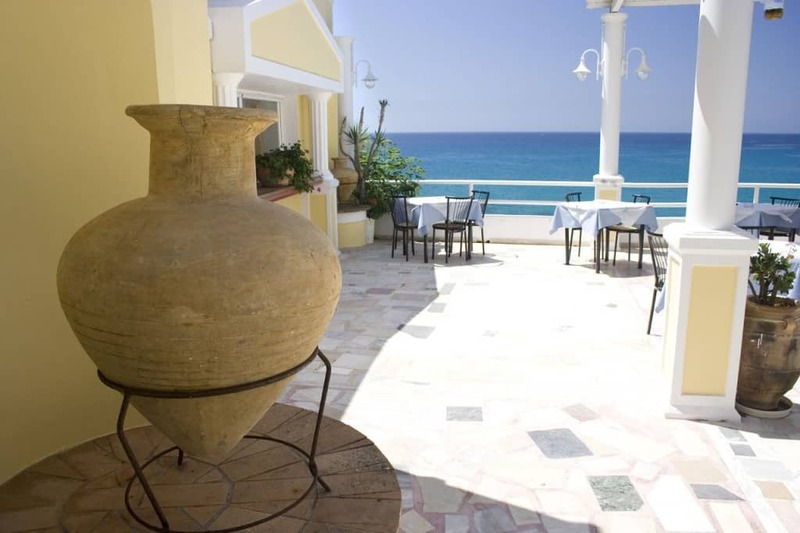 Corfu is a beautiful little Greek island in the Ionian sea and one of the most popular Greek holiday destinations. It’s not hard to see why people flock to it in droves, with its sparkling beaches, mountain-studded landscapes, and charming Old Town. 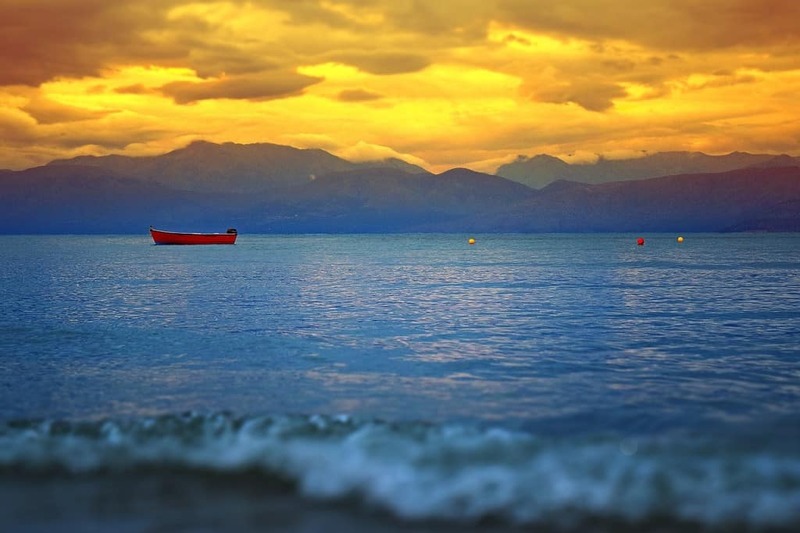 The Corfu weather is moderate year-round, though it does get a bit too chilly for swimming during the winter months. The temperature in Corfu is hottest from June to early September, which is also when all the tourists descend. April, May, and October are still nice, warm, and much less crowded but often have unpredictable rain spouts. Fly into Corfu airport during these months for the best deals. No matter the time of year, though, there’s always so much to experience, and to see it all you should rent a car in Corfu. 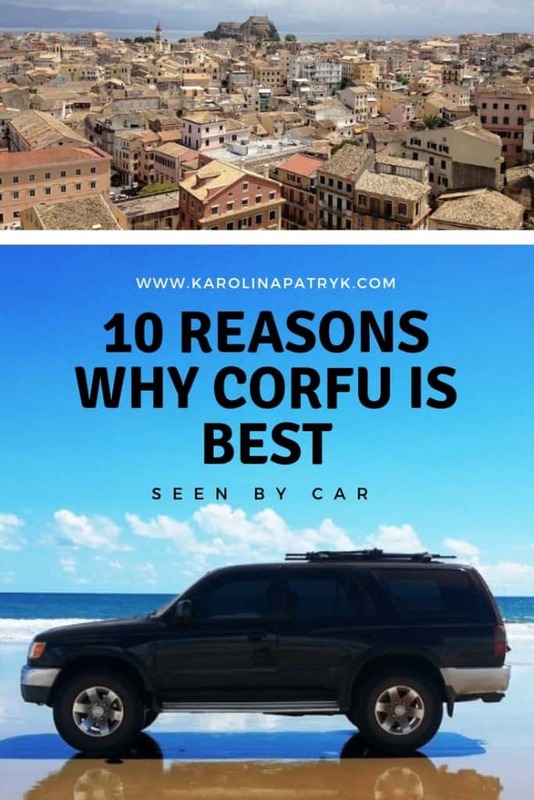 Here, we’ll tell you all about how to find the best Corfu car rental, driving tips for the island, and why you’d be better off renting during your stay. as you fly in. You can also do it at the airport but it will take more time and will probably be more pricey. There are plenty of options to rent a car in Corfu for any budget and/or group size. If you’re with a small group and money is tight, the Mini cars, such as the Volkswagen Up, start from around ~$31 per day. Four- and five-seat economy cars, like the Nissan Micra or VW Polo, start from ~$33-$47 per day. Compact cars like the Hyundai i30 and Ford Focus can range from starting prices of ~$40-$59 per day. If you’re travelling in a larger group, check out the Minivans, which start from ~$80. Full-size and Premium cars are good options if you have money to spend and are looking to drive around Corfu in luxury. A full-size BMW X1 will come in at around ~$230 per day, while a premium Audi Q3 will be about ~$417 per day. Although drivers are on the left hand side of cards, you will actually be driving on the right hand side of the roads on the island. It might be confusing at first, but you’ll quickly get the hang of it. Parking is free most places on Corfu, but the lots fill up fast during the evenings. The roads can quickly go from comfortably wide to uncomfortably narrow, so the smaller the car the better. There are many very steep and incredibly narrow winding roads on the island so be prepared for this. The roads might not be so great in places, so take care with the underside/tires of your rented car. Pull to the side and let locals pass you if you find that you need to slow down. 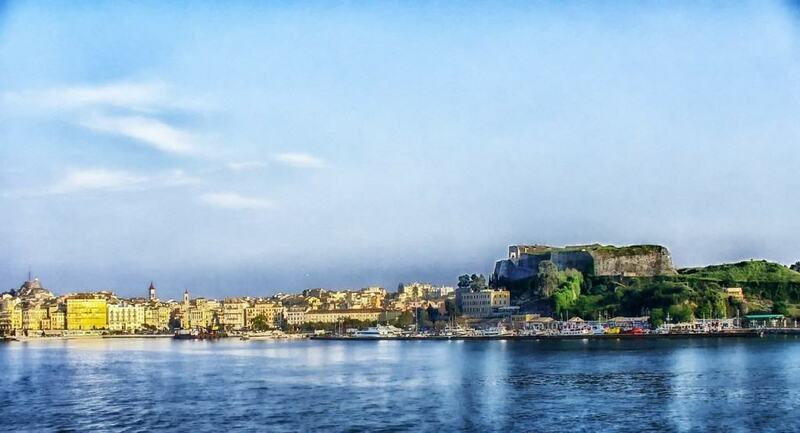 The charming historical city center of Corfu town is easily walk-able, but if you want to venture out and explore the rest of the island your options are limited. Public transportation is not comprehensive, and you could find yourself stuck roaming the same streets and nearby beaches during your stay. And if you do want to go see the other parts of the island, such as Rovinia Beach, you’ll be wasting precious vacation time waiting for the transport to get there and back. If you rent a car in Corfu, though, you’ll be able to go as far as you like and see as much as you can every day you’re there with no restraints. Public transport tickets or taxi fares can easily add up when you’re going back and forth to several destinations every day, especially when travelling with a group. 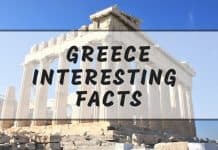 When you pool your money together and rent a car, the cost of transport per person will be much, much lower, and you’ll be able to spend those savings on the many fun activities that Corfu has to offer. Snorkeling, scuba diving, boat tours, nightlife…the list of great things to do on the island never runs dry. When you rent a car in Corfu, there’s no need to worry about rushing around to get to bus stations in time to catch your next ride. 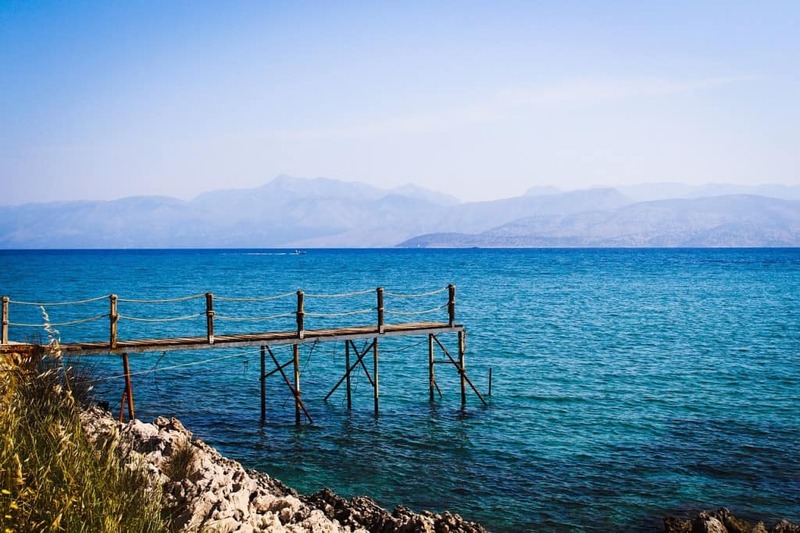 You don’t need to stress about getting from Corfu airport to your hotel in the city center before it’s too late, or whether or not you’ll have time to take a taxi to the other side of the island from the beach you’re sunbathing on. Your time truly is your own, and that’s just how any vacation should be. 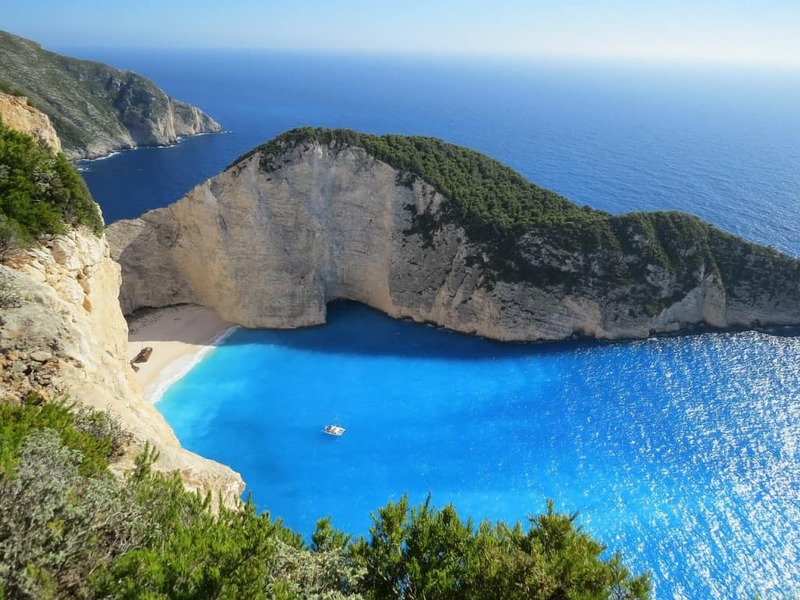 Corfu is a small island, sure, but it’s absolutely packed with breathtaking landscapes and gorgeous beaches. See it all up close and personal as you drive around and explore every nook, cranny, and inlet you can find. Swim in the Canal d’Amour at Sidari (one of the best beaches in Corfu), venture into the cedar forest at Issos, and wander the cute village of Karousades in the north. It’s easy to get to all of these places and more by car. Time is worth more than gold when you’re on vacation here, especially if you only have a few days to enjoy the island. Get the most out of your trip by spending more time on the beach or exploring the mountains than waiting for a passing taxi or racking your brain over creating a workable bus itinerary. Rent a car and drive everywhere as fast as you can. Don’t waste your time catching buses when you could be catching waves! Some of us pack heavier than others, and there’s no shame in that. When you rent a car, you can stuff the trunk with as much as you please. Take a picnic lunch, towels, a change of clothes, cameras, beach chairs…anything you think you might need during your perfect day. No more worrying about lugging heavy bags around the island or not taking everything you need. The flexibility of driving yourself around one of the best islands in Greece is a great feeling when you realize that you can literally stop wherever you want, whenever you want. Driving along the mountains and come across a perfect panoramic photo-op? Just park on the shoulder and start snapping pics. 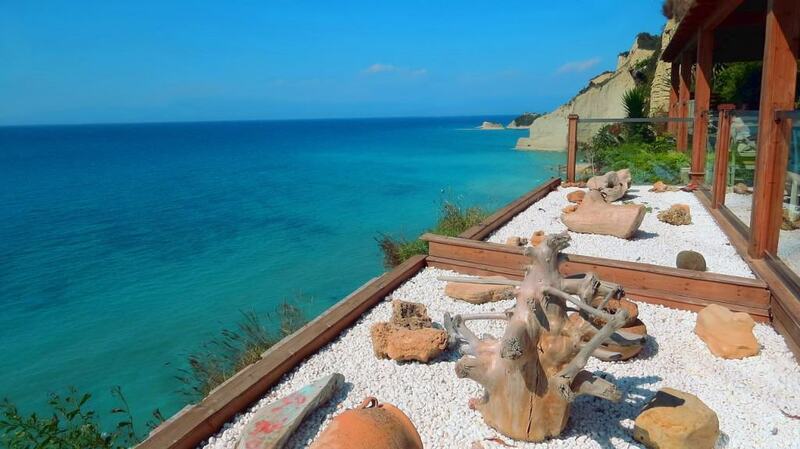 Meandering along the coast and you see one of the many beautiful Corfu beaches? Park on the sand and lounge in the sun for a few hours. You have no bus to catch. Usually if you’re exploring by foot or public transport, your accommodation will usually be limited to the Corfu town center. But if you rent a car, your options are unlimited. 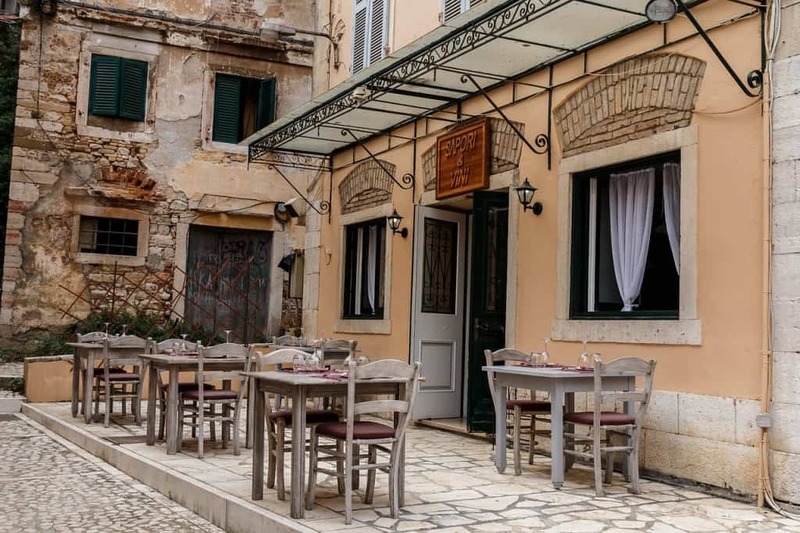 The beautiful village of Kassiopi Corfu on the northeast coast of the island is a great option, and Paleokastritsa on the northwest coast of Corfu is a nice quiet area near the Angelokastro castle and the famous Monastery. Or go even further and find an AirBnB in a small village or farm in the mountains. It’s all up to how far you’re willing to drive. 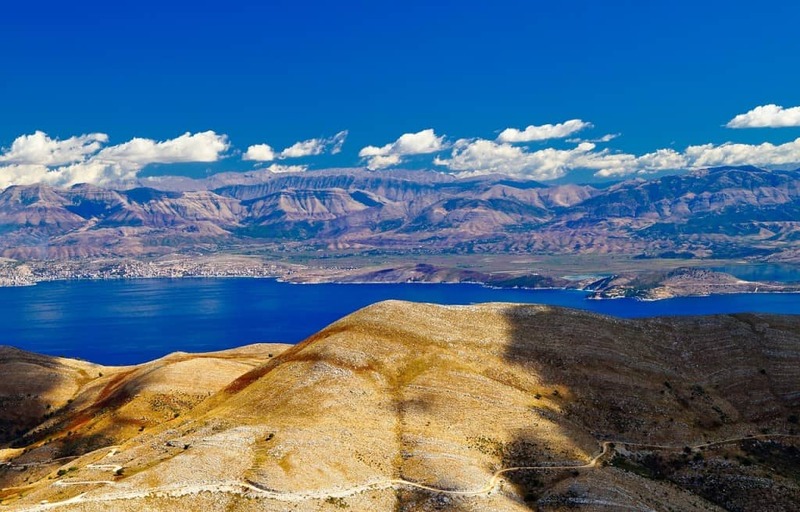 Asides from the main tourist areas, such as Kassiopi and Kanoni, there are plenty of hidden gems that most tourists are unaware of. Luckyily for you, we have the info here. 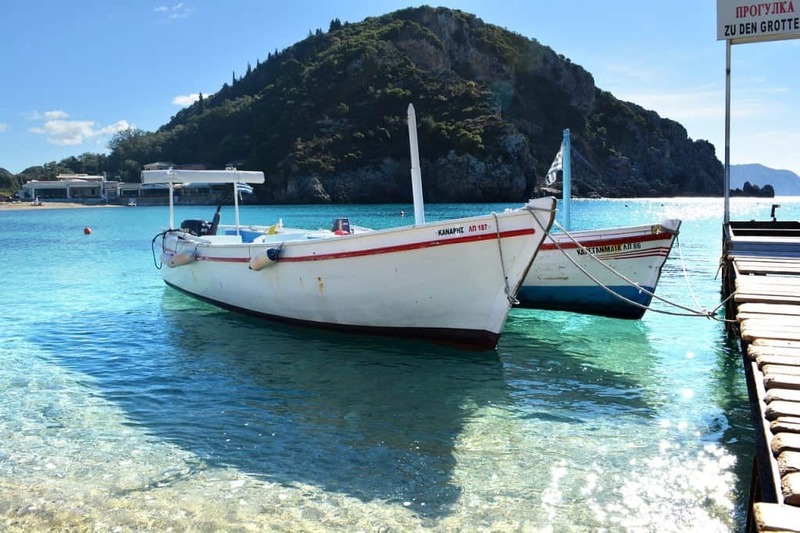 The Diapontian Islands in the northwest of Corfu are small beautiful islands unspoiled by mass tourism that you can take a day trip to explore. The Mirtidiotissa Monastery, though less famous than the Paleokastritsa Monastery, is just as lovely and surrounded by wonderful scenery. Drive up to Agios Matheos village on Mt Gamilios to see where the best olives of Corfu are pressed. And the tiny charming village of Old Perithia is well worth a couple hours of exploration. Comfort is king when you’re on vacation. Otherwise, what would be the point? When you rent a car, you’re free to be yourself without worry. Blast your favorite music, talk about anything and everything with your friends/family, and relax on your own terms. 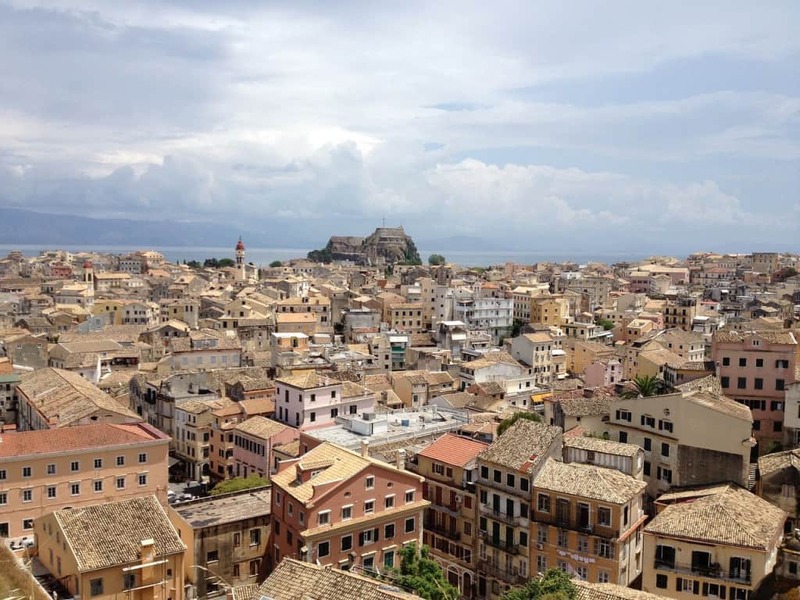 The Corfu weather can be unpredictable, too, during the spring, fall , and winter months. If there’s a sudden downpour, it’ll be a relief knowing that you can just jump back into your car and wait out the rain. 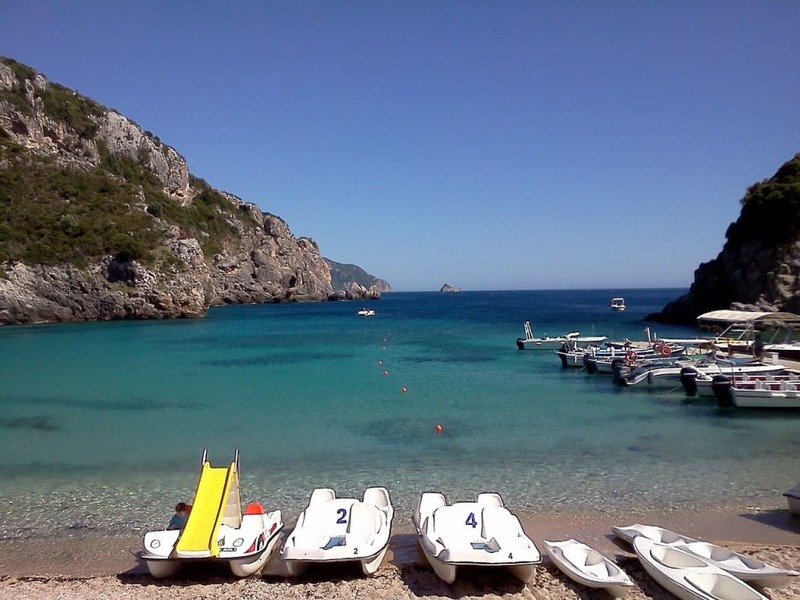 We hope you enjoyed our guide on how to rent a car in Corfu. A car rental really is the best option if you want fun, flexibility, and freedom on your next vacation to this beautiful gem of an island. If you’re still looking for a place to go, check out our other holiday destination guides for places like London, Portugal, Spain, and Poland. Let us know what you think in the comments below!